It is easy to digest and the pine nuts add protein, vitamin E and vitamin B-2 to name a few. 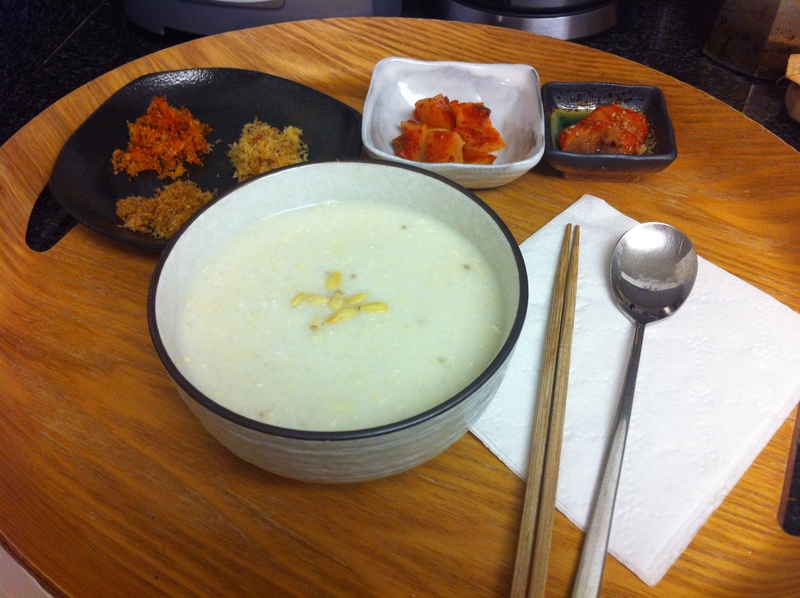 Jat-juk is loved by both children and adults and often served as an appetizer in Korea. I also love to eat this as a meal, especially when I feel weak or under the weather. Moreover, it is great option for vegetarians and baby food. If you like, you can make extra and freeze it. All you have to do is pop it in the microwave for a few minutes and serve. I made jat-juk for my mother, who unfortunately caught my cold over the weekend, and served it with boogau-bopuragi (북어보푸라기). She loved it so much, she almost finished both servings. Wash the rice several times until the water is clear. Soak the rice in fresh water for at least 2 hours. You can soak it overnight in the refrigerator. 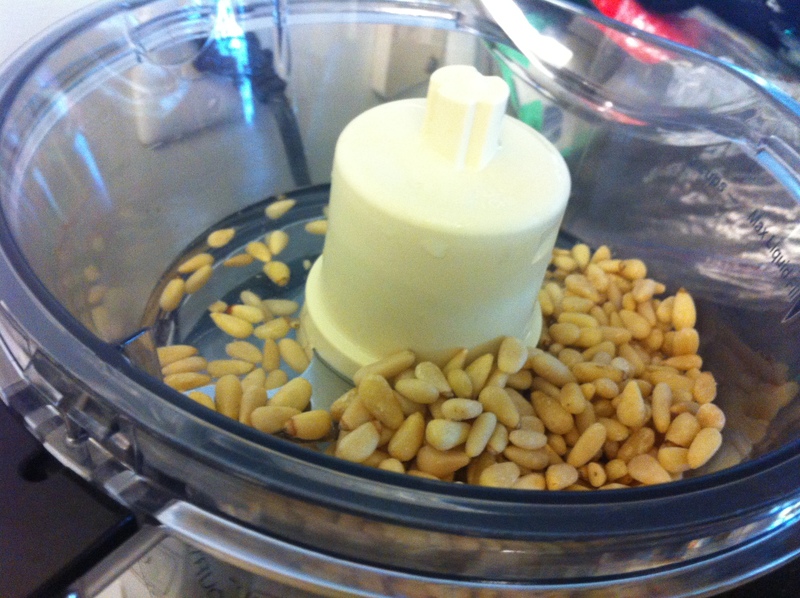 Add 1/2 cup of water and 1/2 cup of pine nuts in a food processor or a blender. 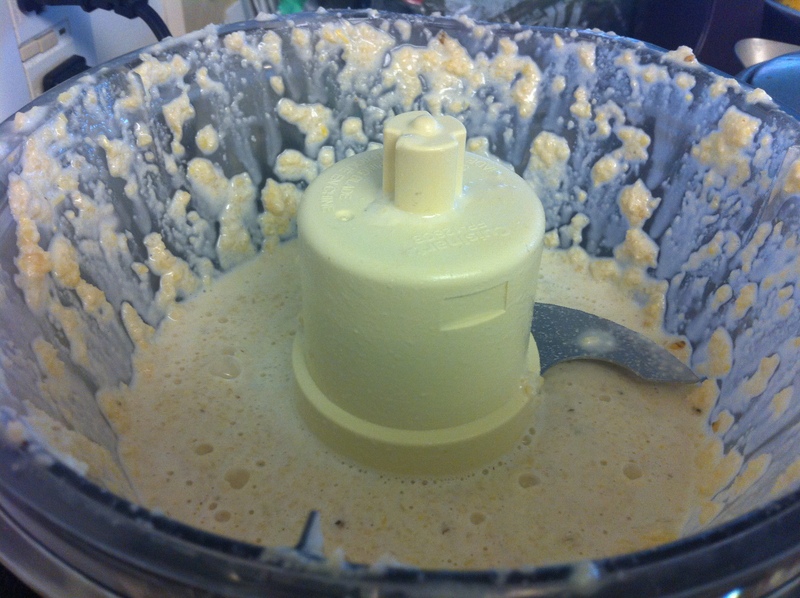 Grind until it looks like a paste but not completely pureed. Pour out the pine nut paste into a bowl. 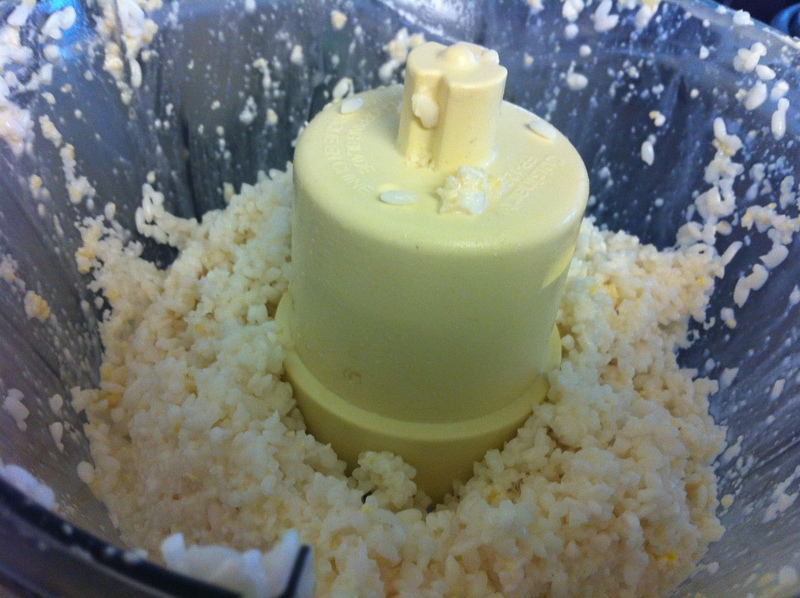 In the same food processor or blender, add the rice and grind the rice for about 20-30 seconds until the rice looks like the picture below. If you are using a blender, add about 1 cup of water with the rice before grinding. 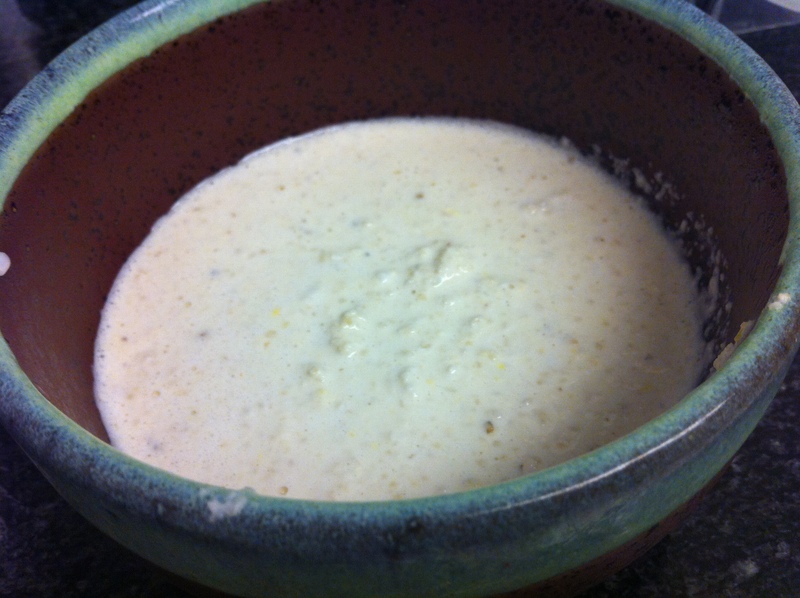 Pour out the rice in a heavy pot and add the remaining water. Note that the rice will grow about 2-3 times in volume as it cooks so use a medium size pot. On high heat, let the rice and water come to a boil while stirring often. 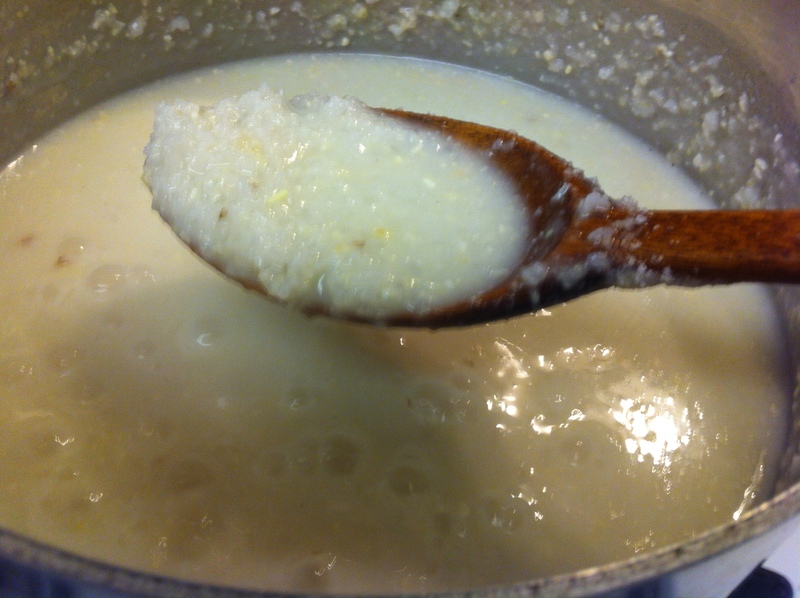 Lower the heat to medium-low and let the rice simmer for about 10 minutes. You have to stir often so the rice doesn’t settle to the bottom and stick to the pot. 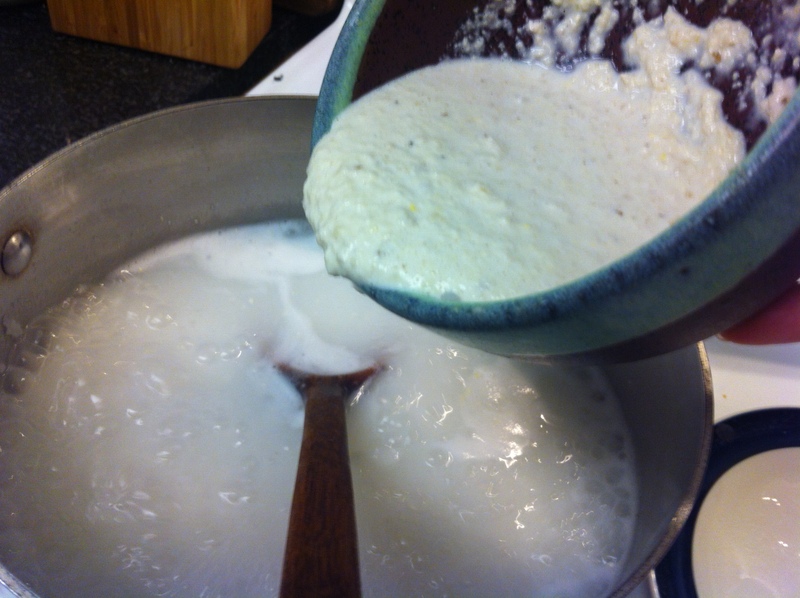 Pour the pine nut paste slowly into the rice porridge while stirring. Cook for another 20-30 minutes depending on how long the rice has been soaked in water while keeping the lid opened and stirring often. The jat-juk is done with the consistency is like a hot cereal or oatmeal. Add salt to taste. 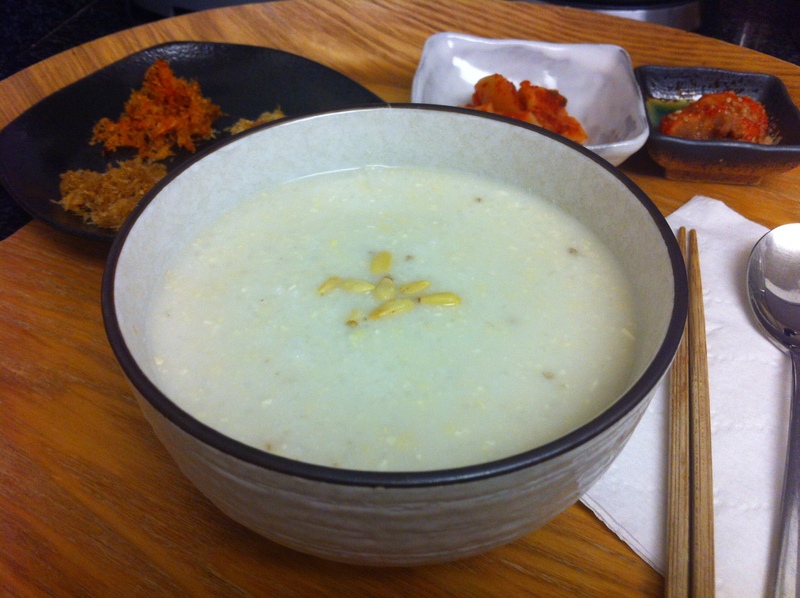 This entry was posted in Appetizer, Good for breakfast, Good for dinner, Good for lunch, Rice Dish, Vegan/Vegetarian Options and tagged Juk, Pine nuts, Porridge by gangnamkitchen. Bookmark the permalink.